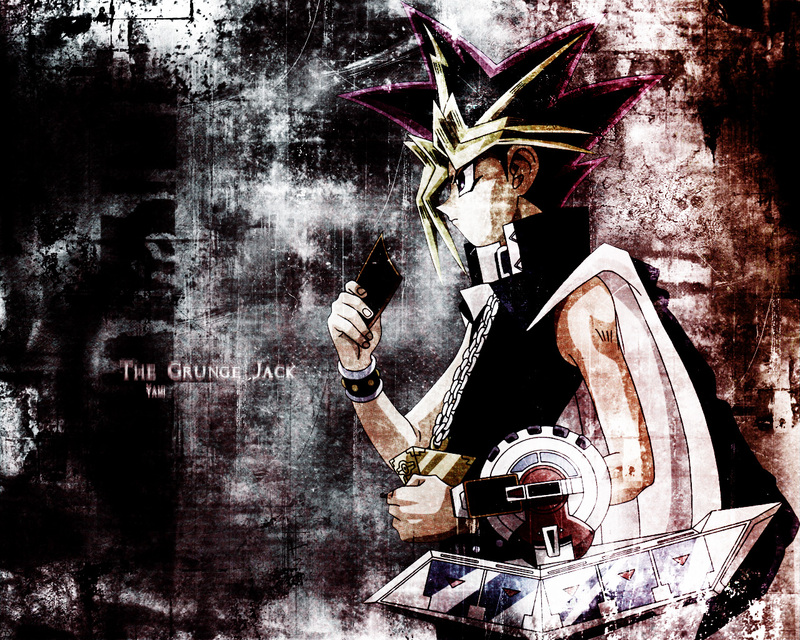 Yu-Gi-Oh Duel Monsters Wallpaper: . : The Grunge Jack :. Minitokyo »	Yu-Gi-Oh Duel Monsters Wallpapers » Yu-Gi-Oh Duel Monsters Wallpaper: . : The Grunge Jack :. Description: The wonderful,Loveable jack. His the vassals of the king. Missinary. He take cares of the prince and princess as if their family to him. He would be the most trust worthy person...with a dark secret. This wallpaper Features, Yami from yugioh. for the first season..but it got old pretty fast. i prefered the japanese verison..
haha really cool wall even though its yu-gi-oh..
the texture of the grundge looks really nice ^_^~! This is one fine job you did with the Grunge Jack. The way you edged out parts of the scan and enhanced the darkness surrounding him - you seem to do this like a pro. - and it looks great, as usual. Nice work, and keep it up! awesome work! thanks a lot for sharing your grunge work! great effects! Atem looks hot!